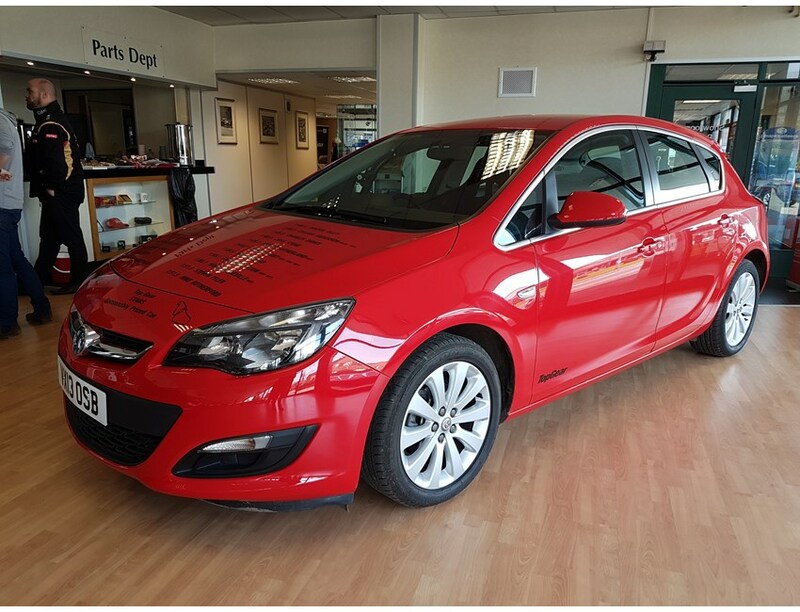 Auction house William George are auctioning off the 2013 Vauxhall Astra 1.6 from the Top Gear show ‘Star In a Reasonably Priced Car’. The Vauxhall Astra appeared in the last three series of the BBC show, from 2013 to 2015. In the show, the car has been driven around on the Top Gear test track in Surrey by celebrities in an attempt to achieve the fastest lap. Will Smith, James Blunt, Margot Robbie, Benedict Cumberbatch, Aaron Paul and Warwick Davies are just some of the car’s famous drivers. You will receive it in the same condition as when it was used in Top Gear - the same interior, complete with Top Gear camera mounts, the same seats and roll cage. It has run almost 4000 miles, but still looks and smells brand new. This is not the first sale this car has been through. When Top Gear was done with the Vauxhall Astra, the producer donated it to be auctioned off for charity. The Ebay auction was live for a week with 67 different bids, and sold to an anonymous Top Gear enthusiast for twice the price it would normally cost. Now it is up for sale again at William George - and it's ready for the roads, complete with a MOT. So, if you want to drive the same car as Sherlock Holmes, Professor Flitwick or the Fresh Prince of Bel Air - this is the auction for you! Bidding ends 12 June! Good luck! Not the right car for you? Find all our vehicles here!